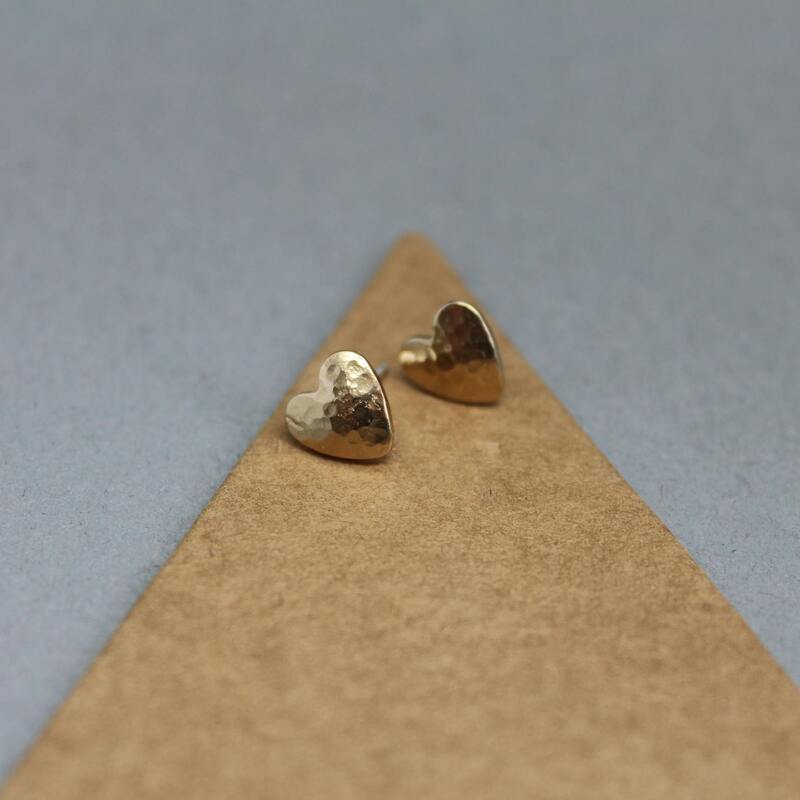 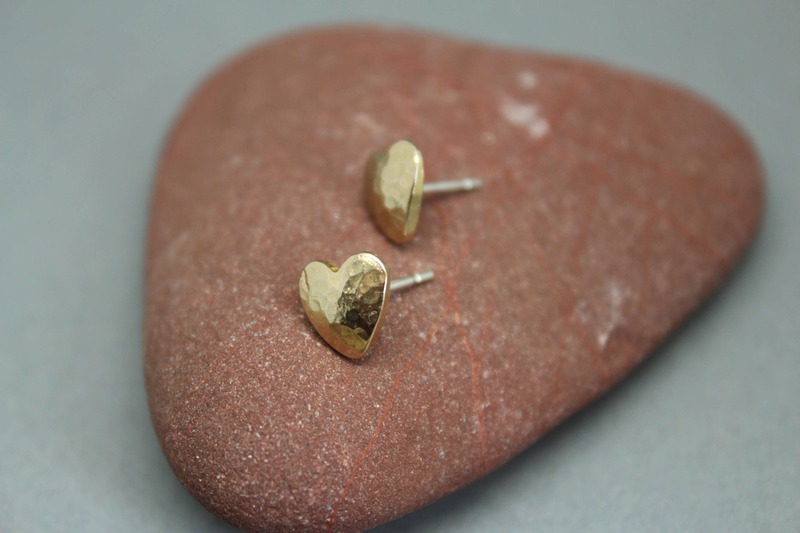 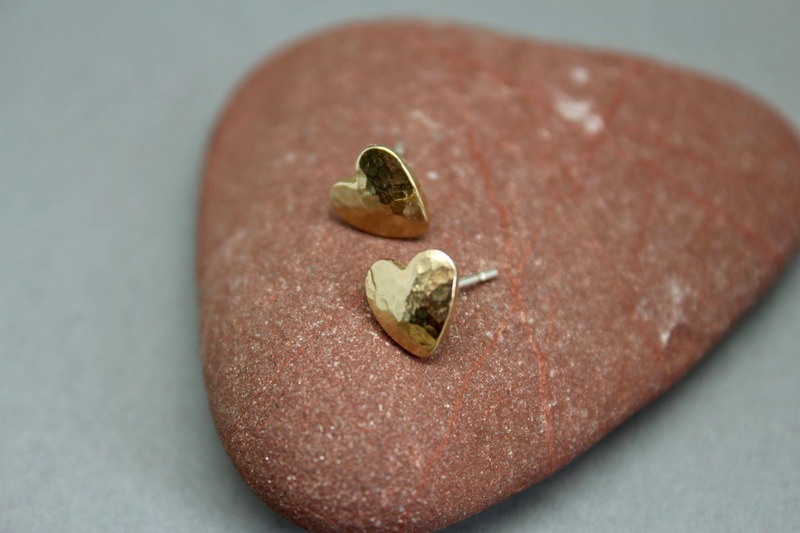 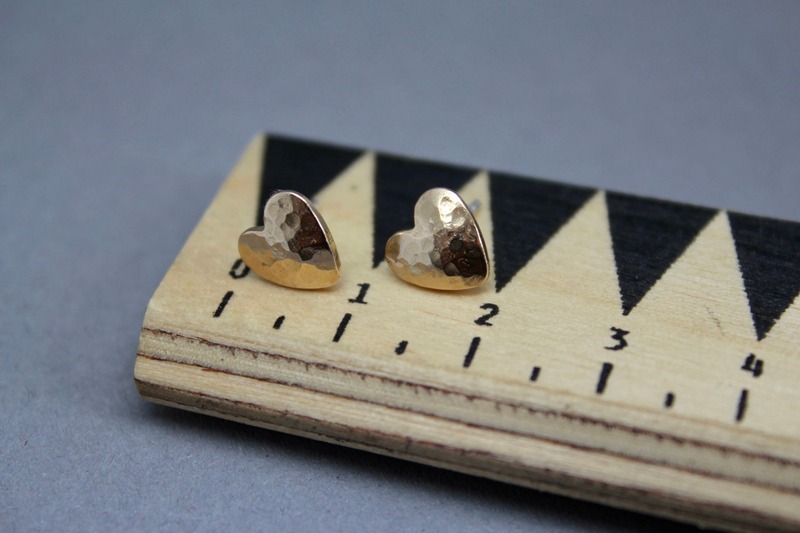 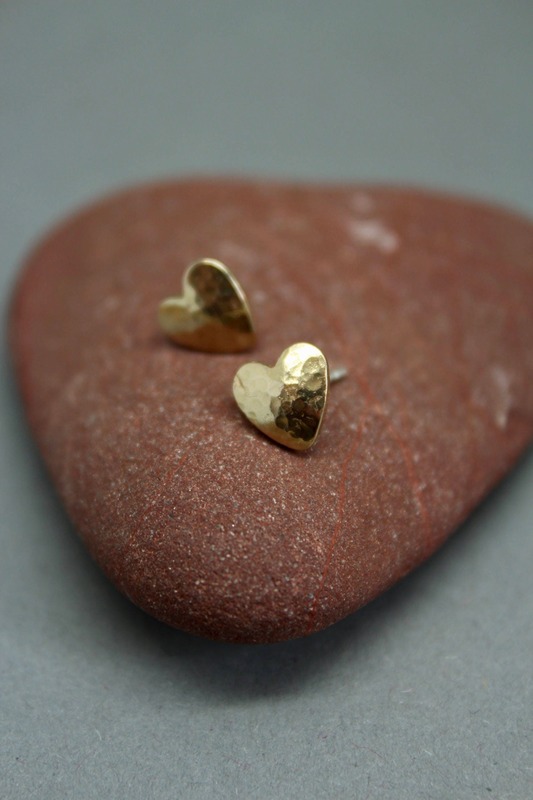 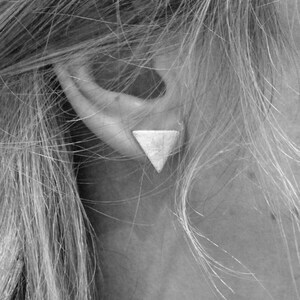 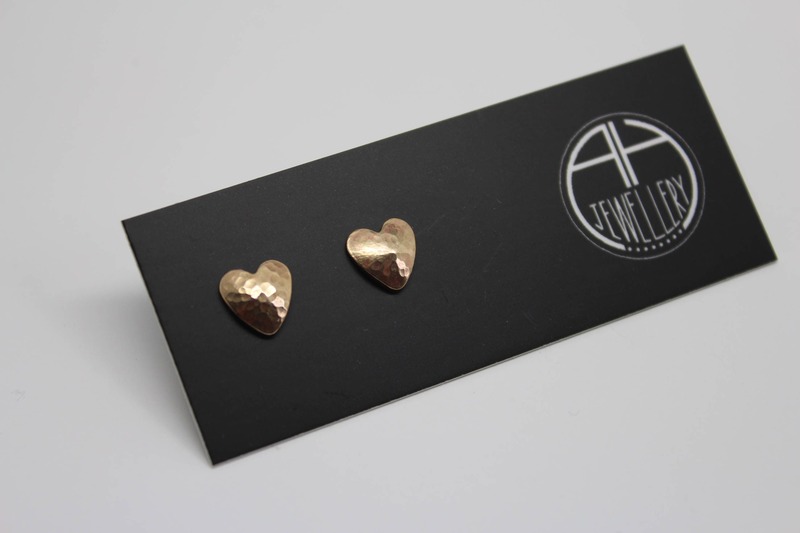 Small, simple, hammered gold heart studs, perfect for everyday wear. 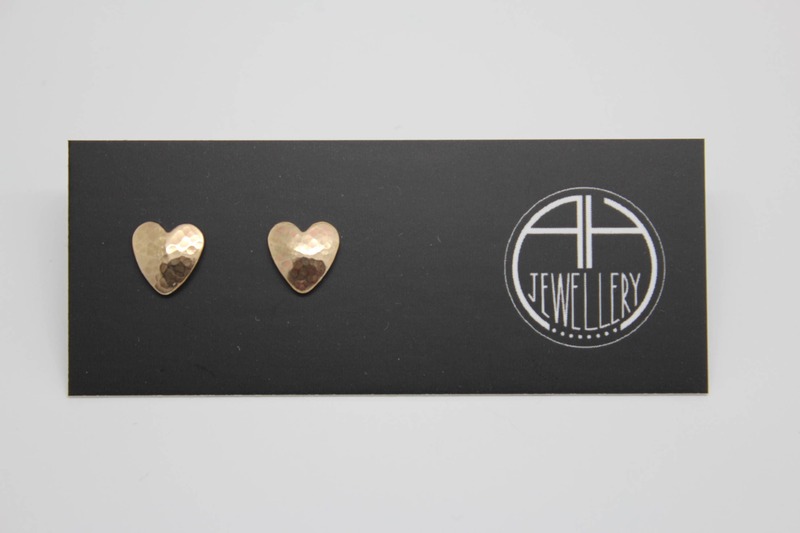 The hearts are made from gold brass, which has been lacquered to prevent tarnishing. 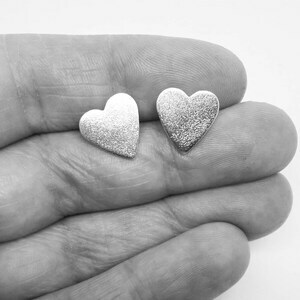 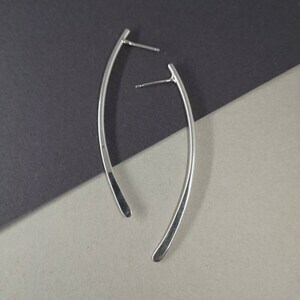 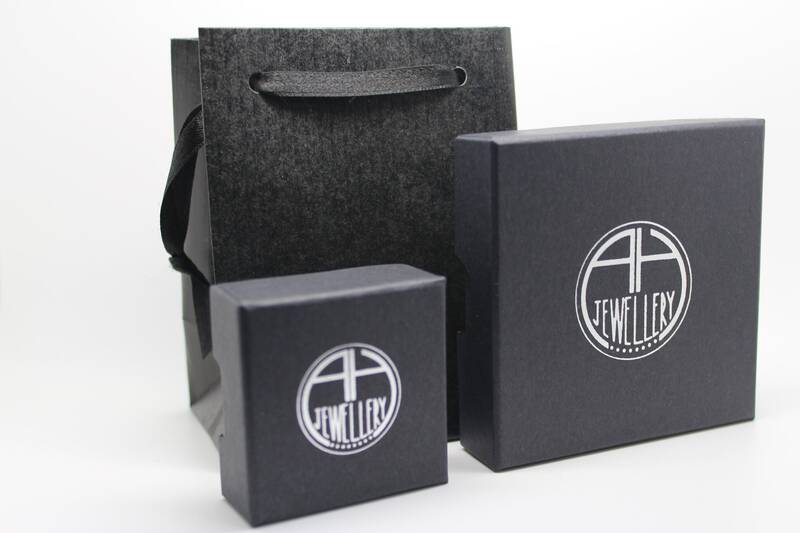 The backs are made from sterling silver and come with sterling silver scrolls. 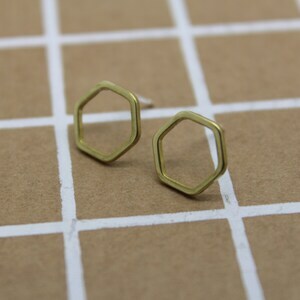 They measure approximately 0.8cm long.